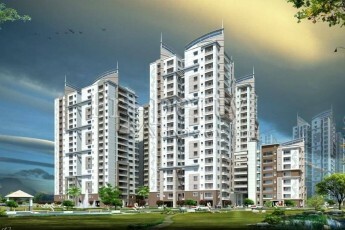 3 bhk Flats for Sale in Narsingi. RIVERA in Narsingi is a perfect residential solution to escape the concrete jungle and live with natures. Enjoy the landscaped open space, blue sky and twinkling stars. The serenity calms your nerves and refreshes your spirits. EIPL Rivera, is a residential APARTMENT Project is located at Narsingi, Hyderabad. Property adviser team started following EIPL Rivera from 27 Feb 2018. This APARTMENT has 2BHK, 3BHK Flats with total built-up area ranging from 1425 Sq. Ft to 2225 Sq. Ft constructed by EIPL GROUP. Out of 156 units, 34 units are available. The price of the APARTMENT ranges from Rs. 67.0 Lakhs to Rs. 1.05 Crores at Rs. 4700/- Price per square feet. Till now, our team visited EIPL Rivera 13 times. Our most recent project visit was on 28 Mar 2019 when we collected details about price changes, available units and took photos showing the progress of construction, materials used, and so on. So far, the project has 68 photos starting from the early stage of construction till the date of possession. There are photos of the street view, flat floor view, elevation, roads, parks, and so on. Property Adviser Team will revisit the project on or before 09 Apr 2019. 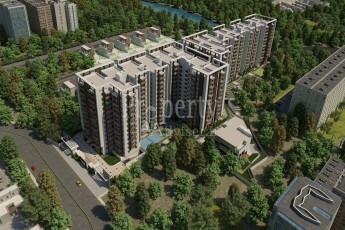 This Project is approved by HMDA, which is spread over an area of 2.5 ACRES land area with total of 6 Floor. EIPL Rivera project has Bank Loans available from LIC, ICICI bank(s). 2BHK East facing flats are available with 0 units for sale out of 30 units. 3BHK East facing flats are available with 0 units for sale out of 12 units. 3BHK East facing flats are available with 0 units for sale out of 30 units. 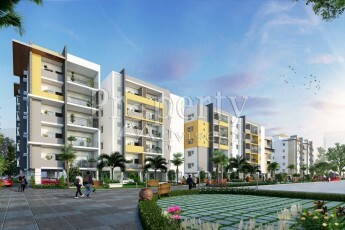 3BHK West facing flats are available with 34 units for sale out of 72 units. 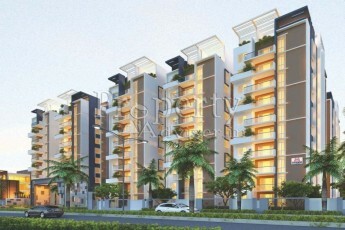 3BHK West facing flats are available with 0 units for sale out of 12 units. The EIPL Rivera project is elegantly designed with modern amenities such as Lift, Swimming Pool, 24 Hrs Security Personal, Childrens Play Area, Car Parking, Club house, Jogging Track, Badminton / Shuttle court , CCTV Surveillance, Solar Fencing, Intercom Phone, Borewell Water, and so on. The apartment has all the modern amenities that will ensure that you don't have to step out of your apartment to enjoy all these facilities. 68 Progress Photos from Last 13 Months are Available. Till now the project is updated 13 times and has 68 construction photos with street view, flat floor view, elevation, roads, parks etc. The residential project is located at Narsingi, Hyderabad. Avail Seller Contact Details on one click to get your dream home site visit. 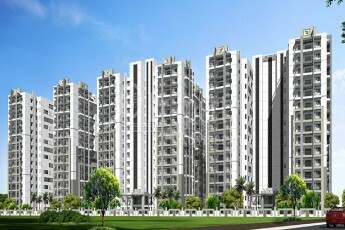 This Project is constructed by EIPL GROUP, reach seller by Contacting to Vaishali. You can reach them on these numbers or visit them to view model flat and finalize your dream home.